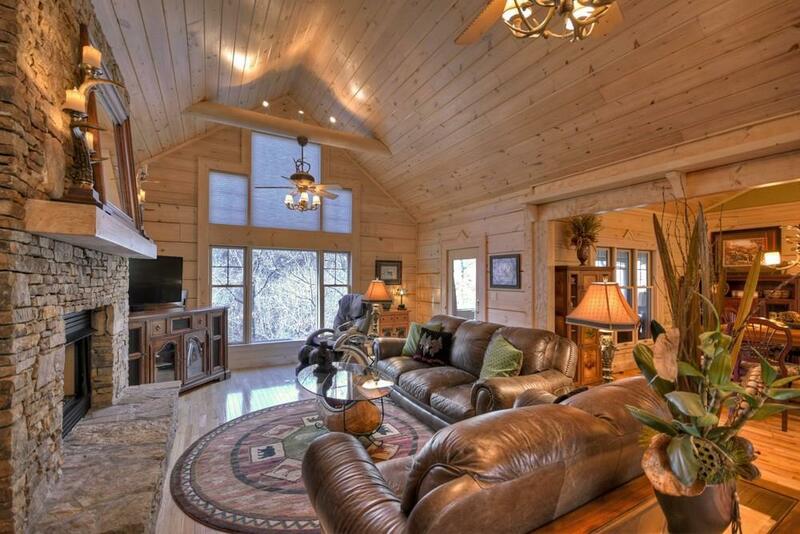 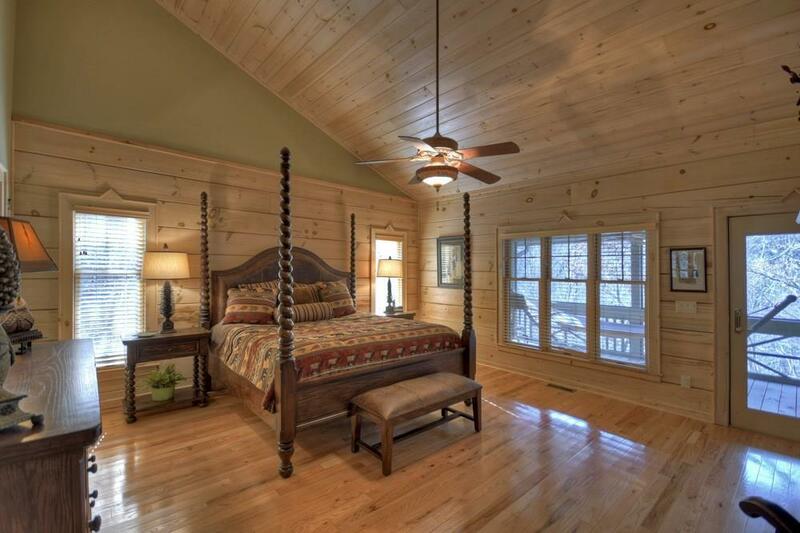 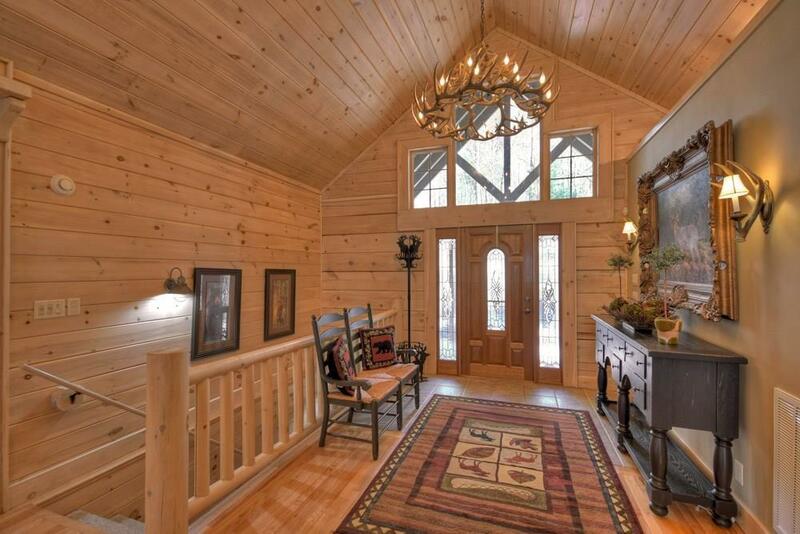 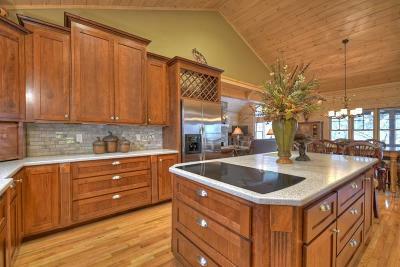 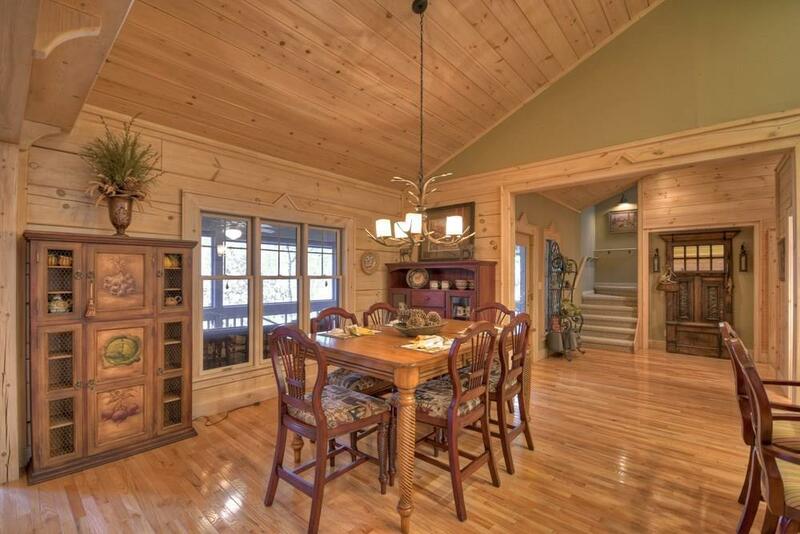 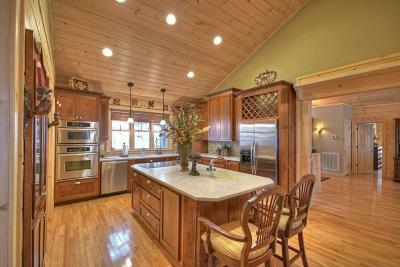 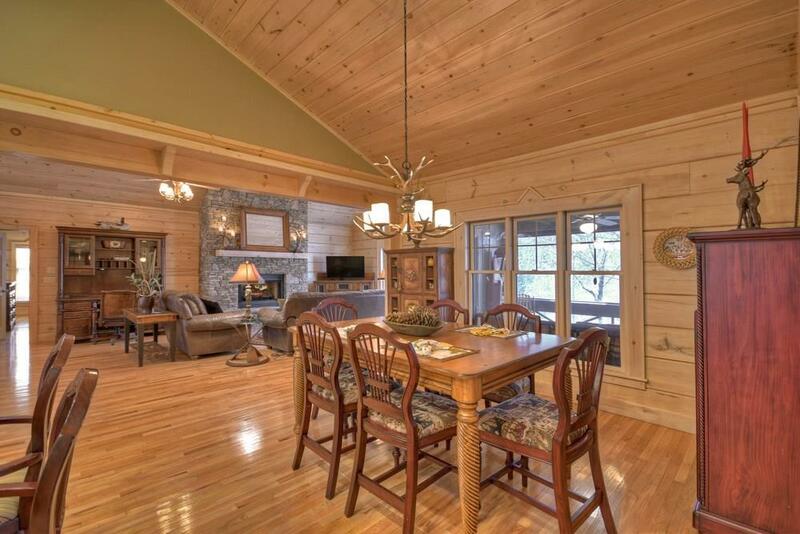 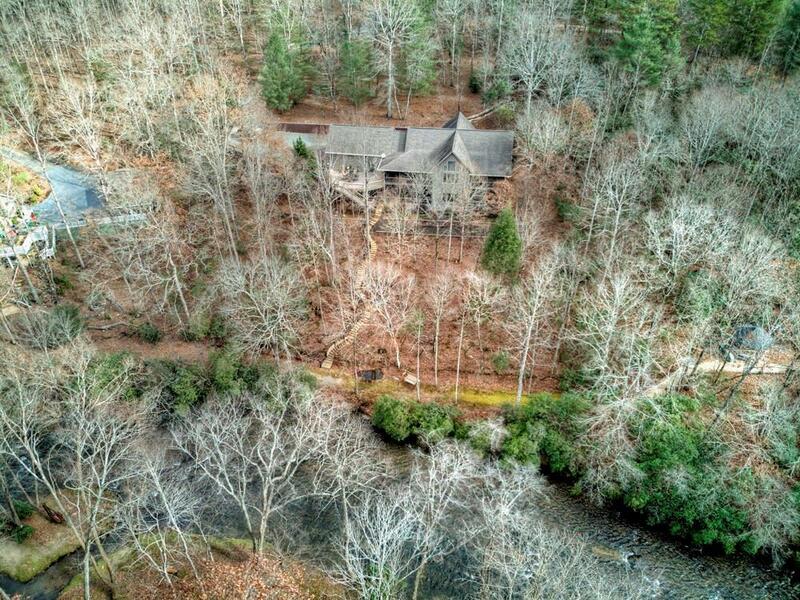 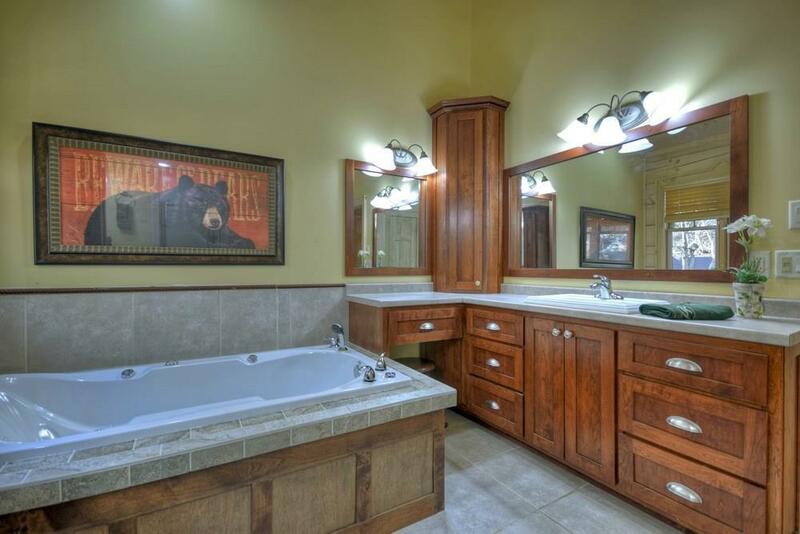 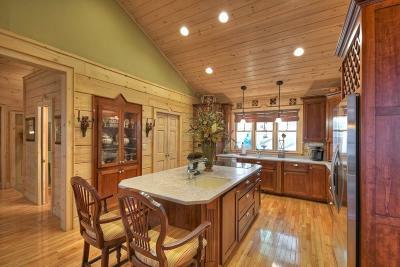 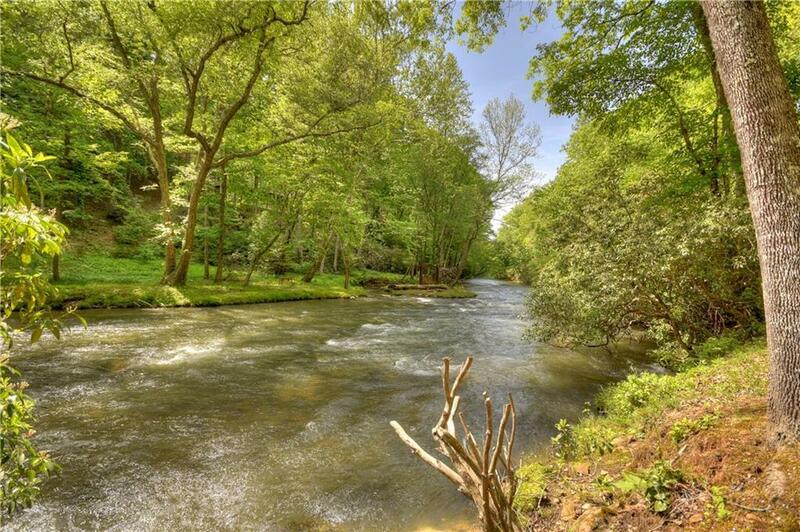 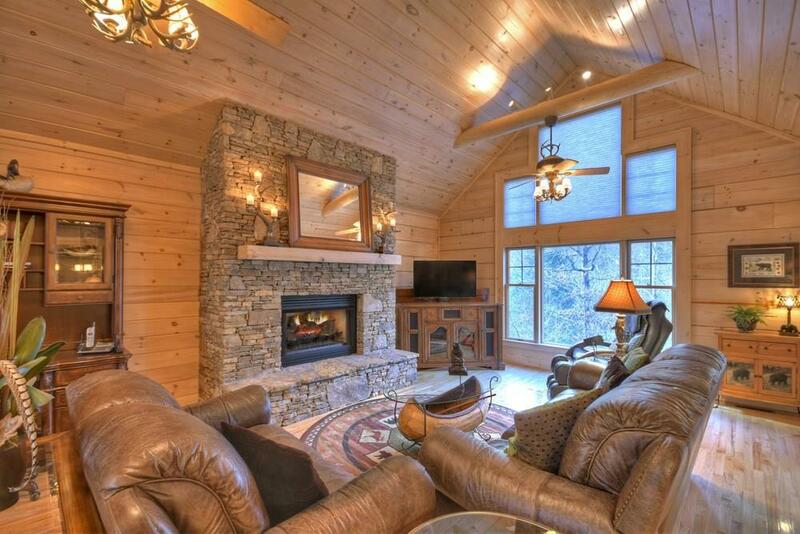 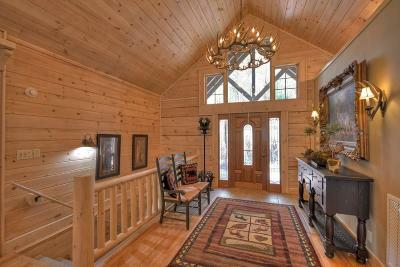 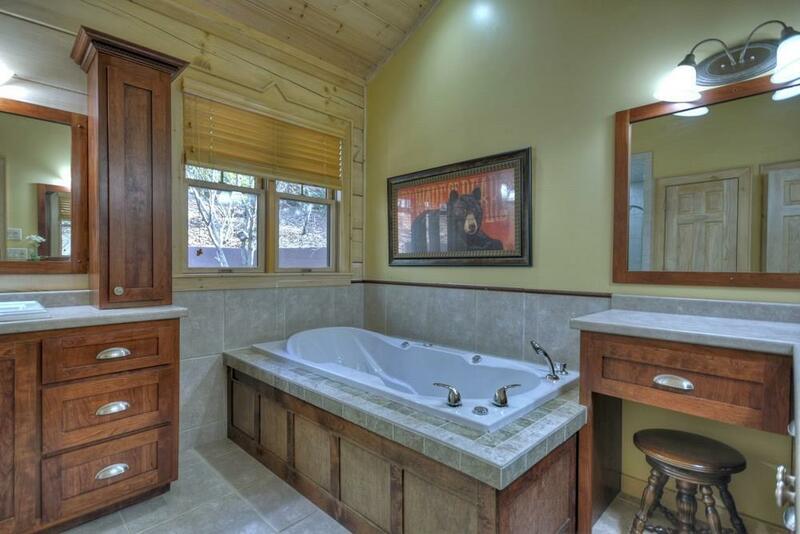 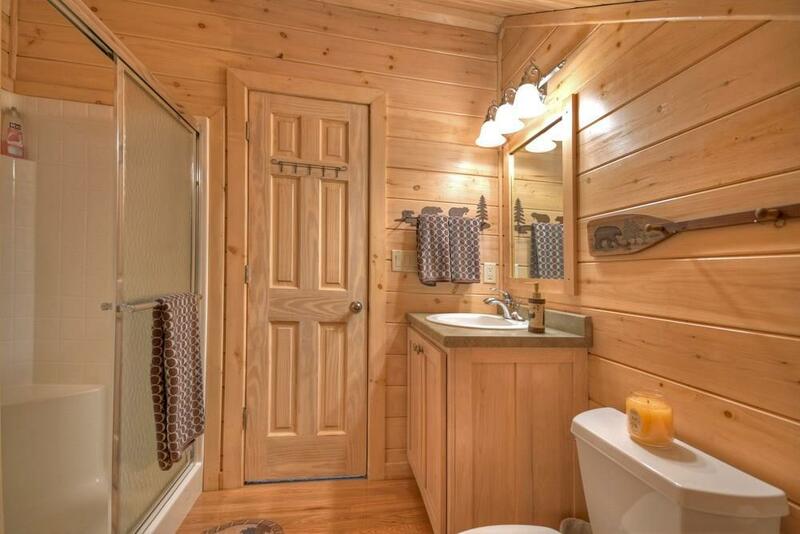 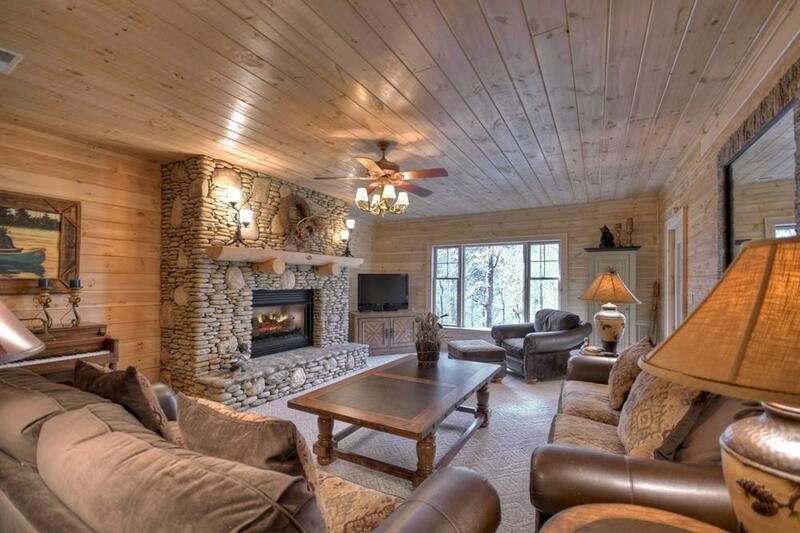 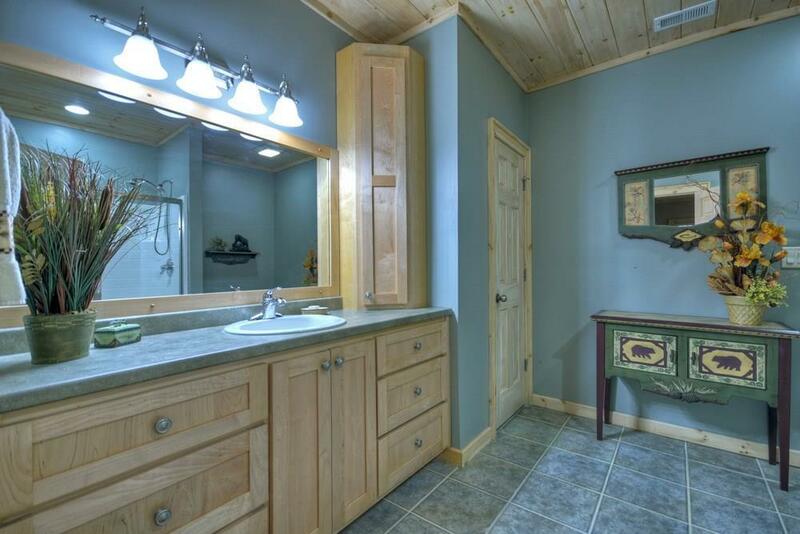 4BR/4.5BA CUSTOM LOG Home w/river frontage! 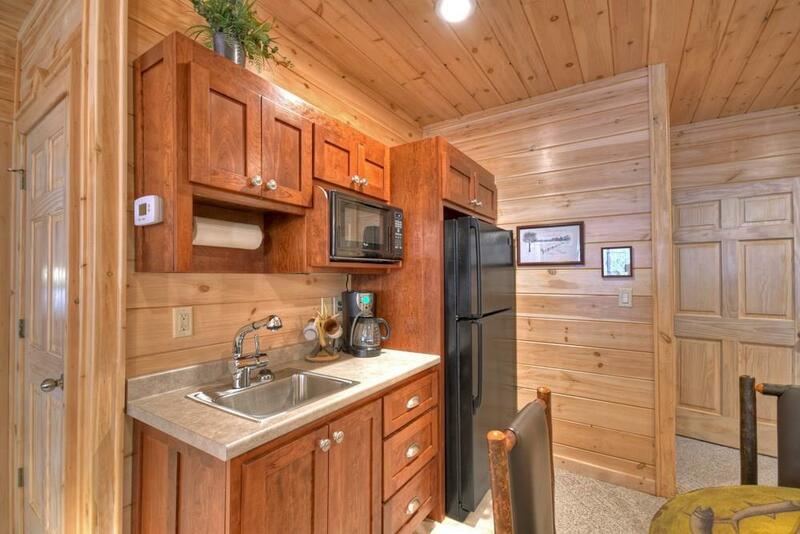 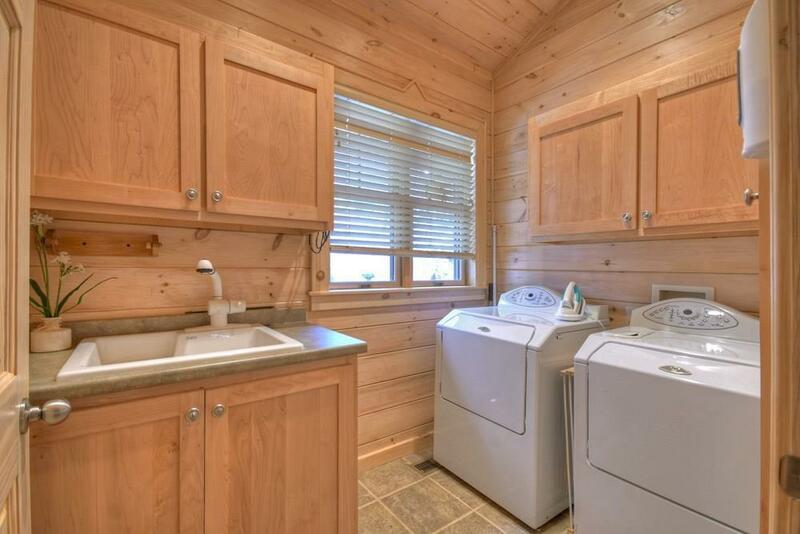 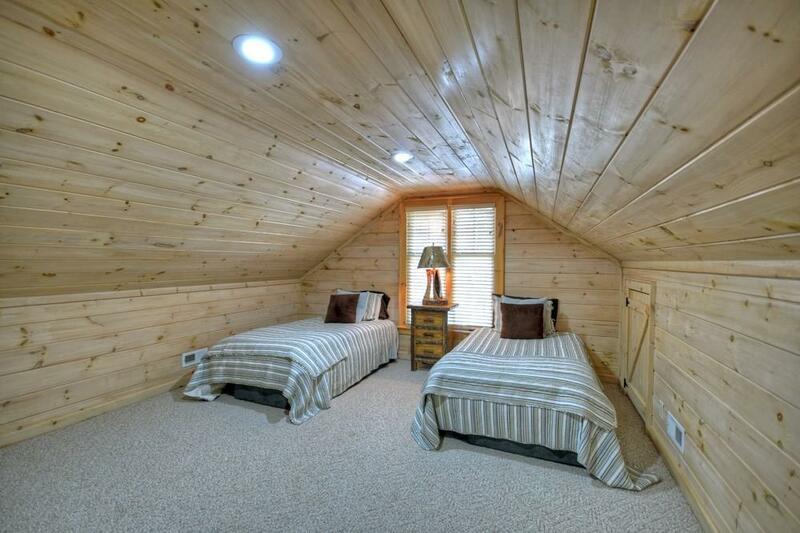 Lodge style home comes turn-key FURNISHED. 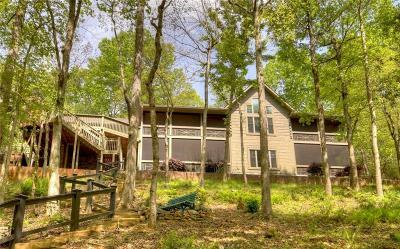 Situated on 2.24 acres. 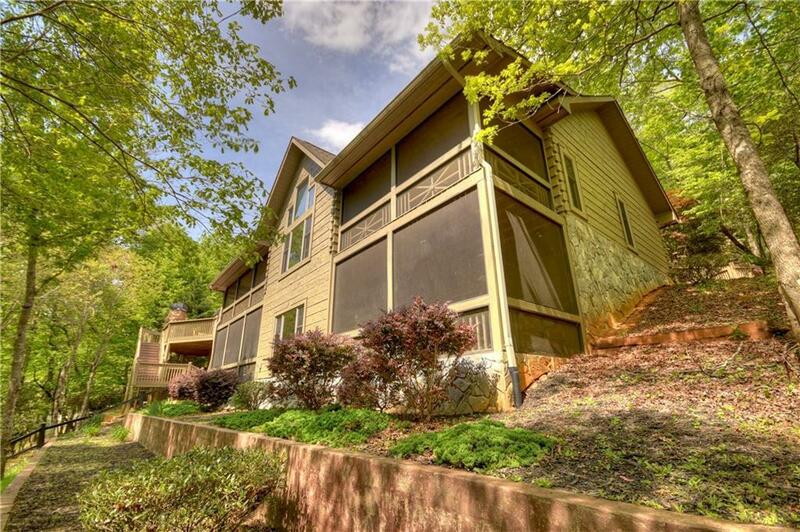 Great room is accented w/wall of windows overlooking river; 2 stack stone fireplaces; well appointed kitchen w/huge center island, cherry cabinets/pantry. 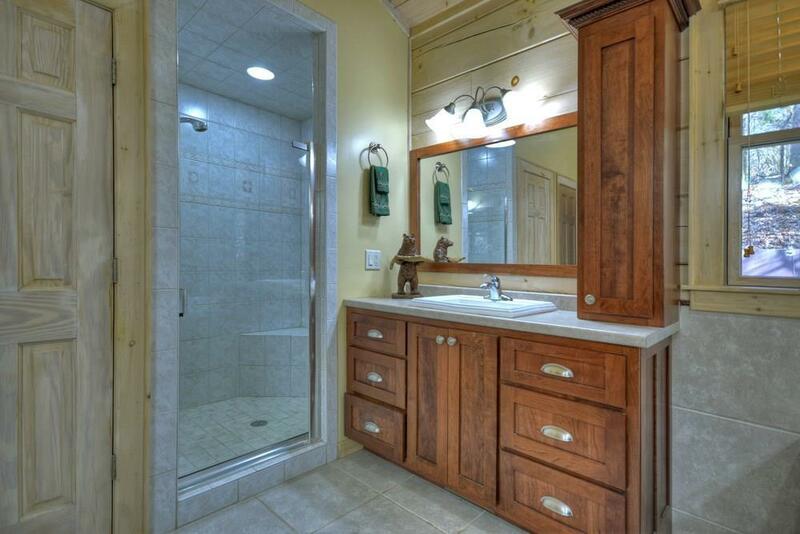 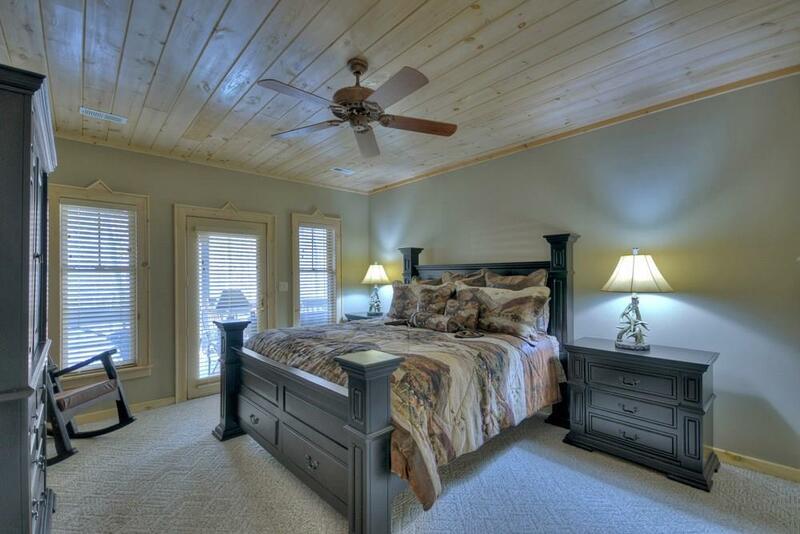 Master suite on main, ALL bedrooms are en-suite! 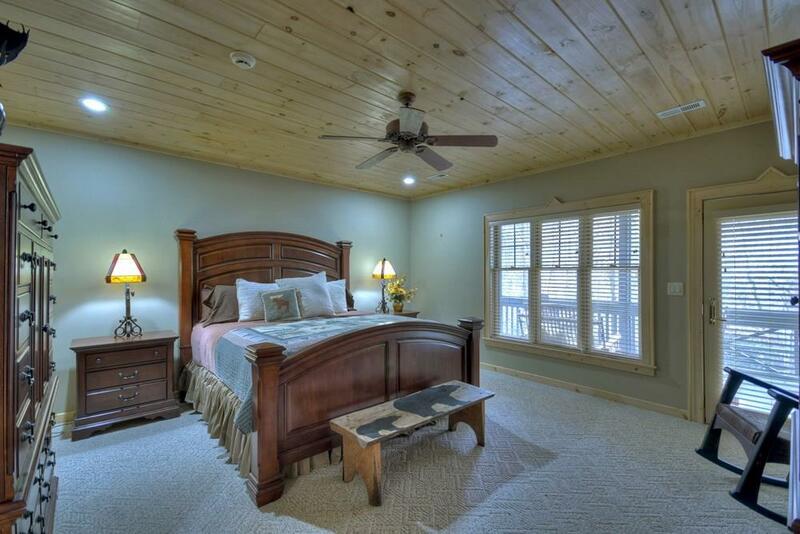 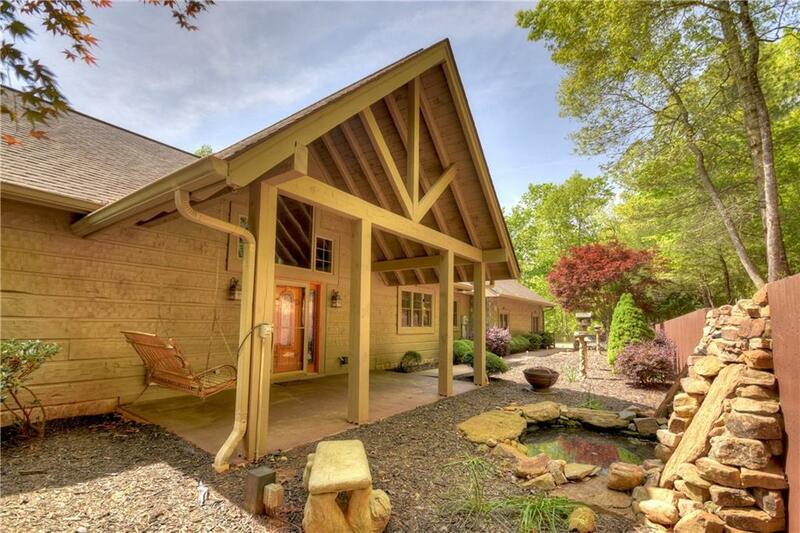 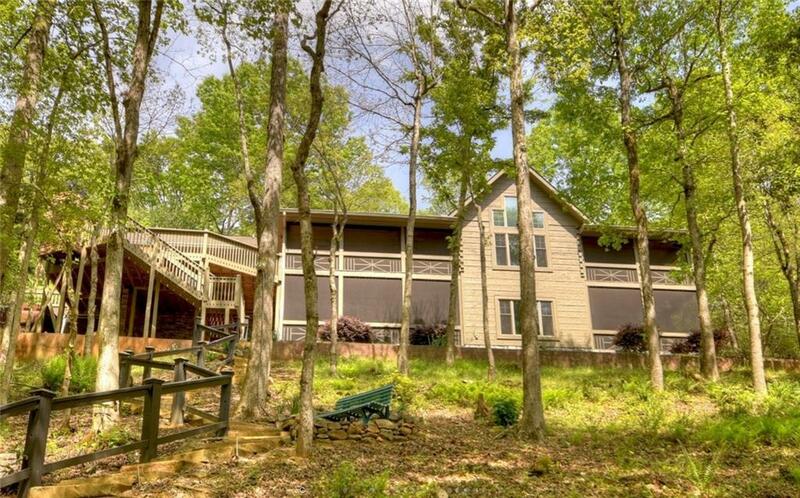 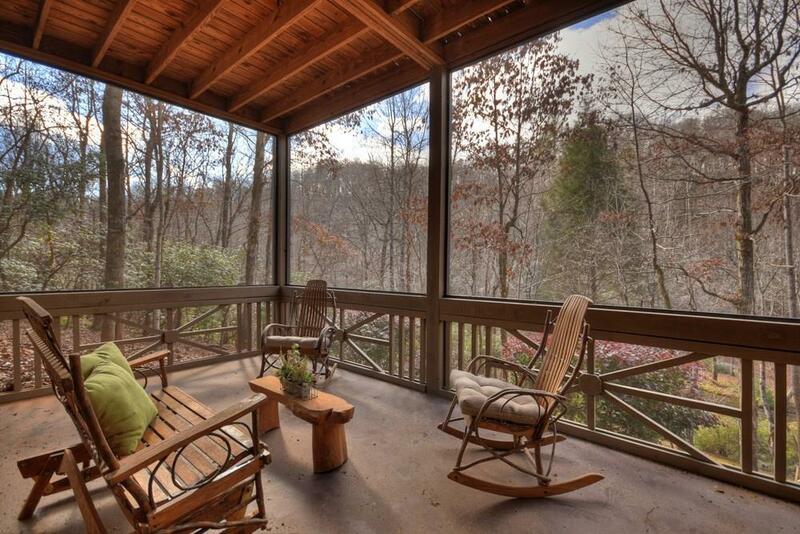 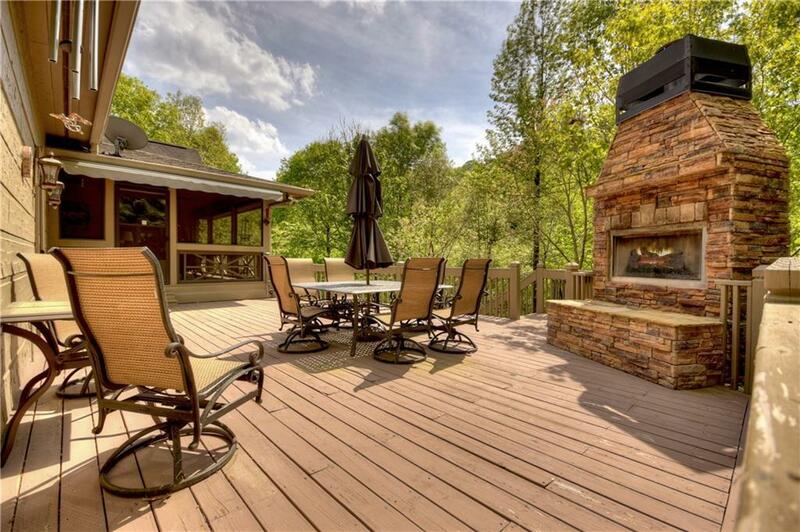 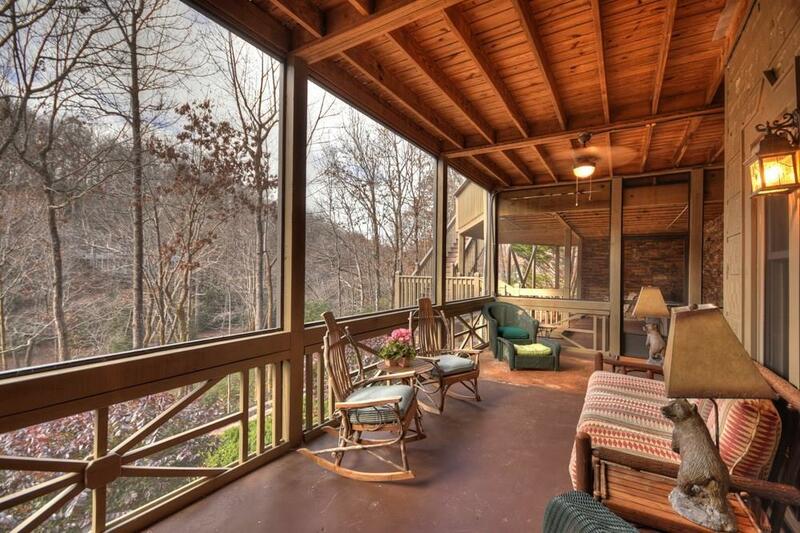 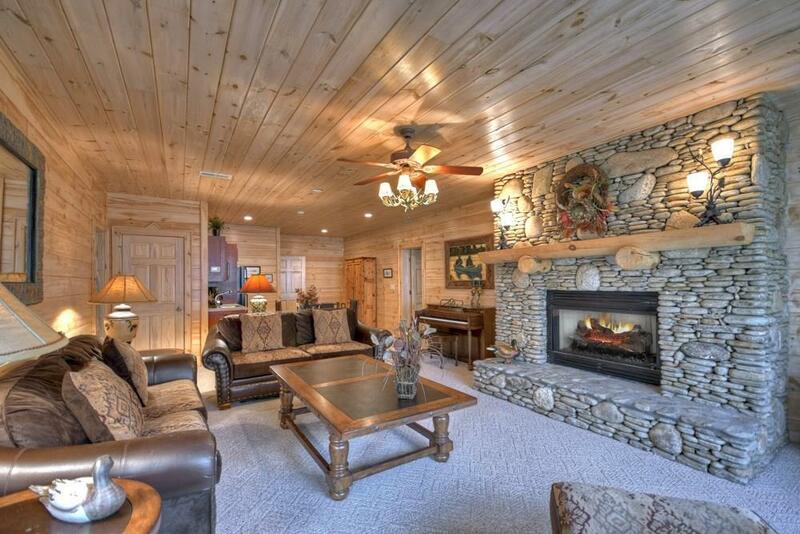 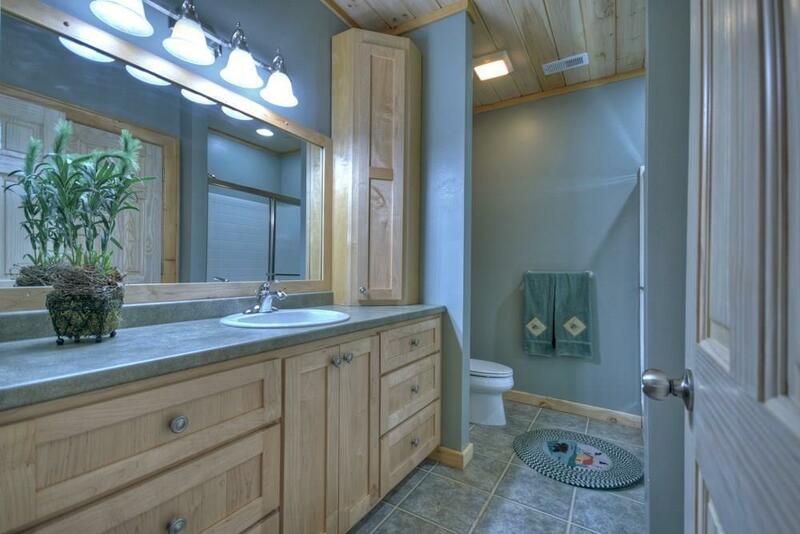 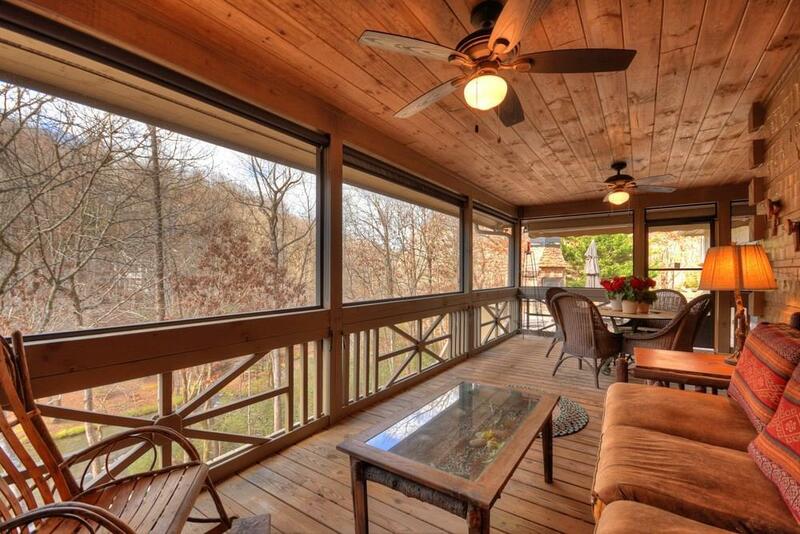 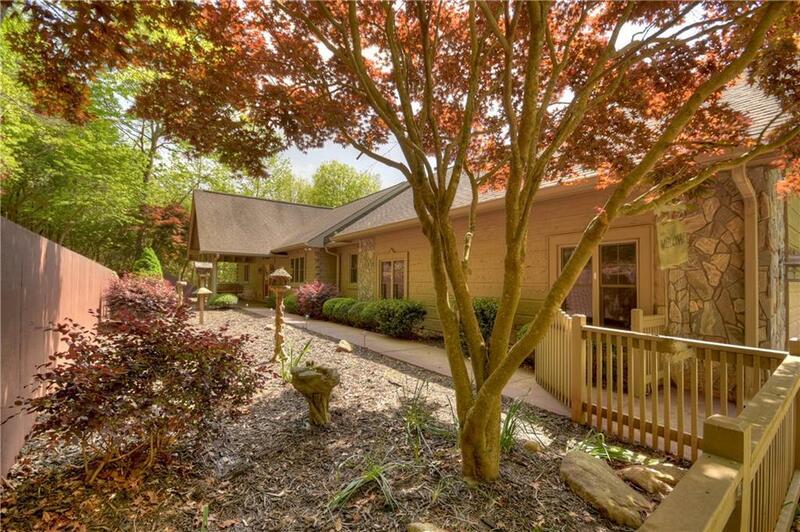 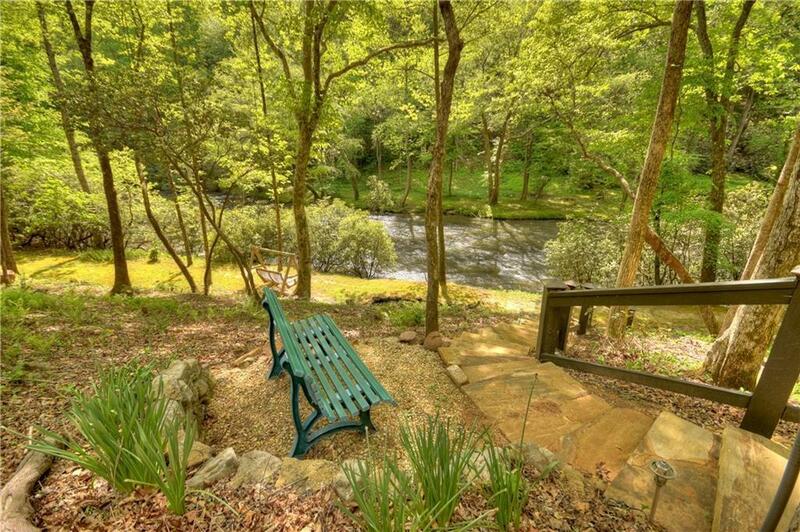 Finished terrace level w/wet bar, numerous screened porches, open deck w/outdoor fireplace. 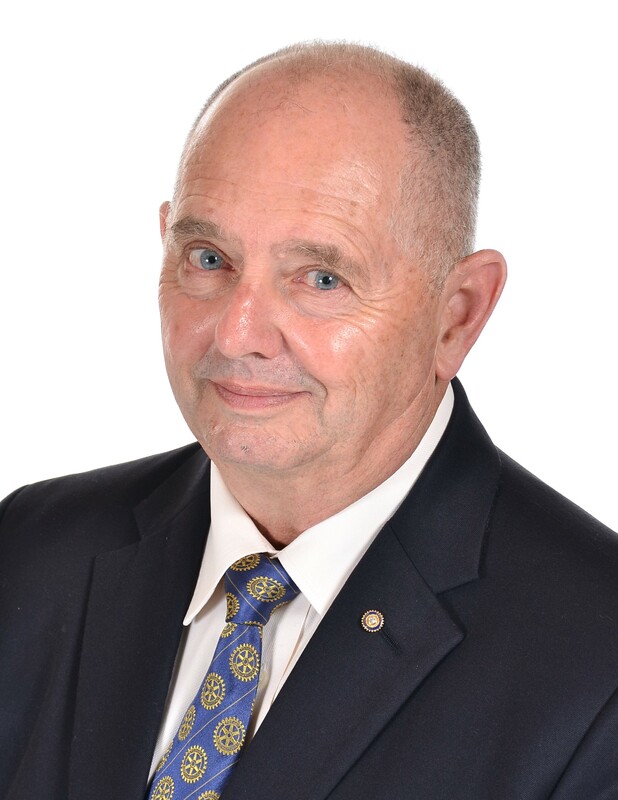 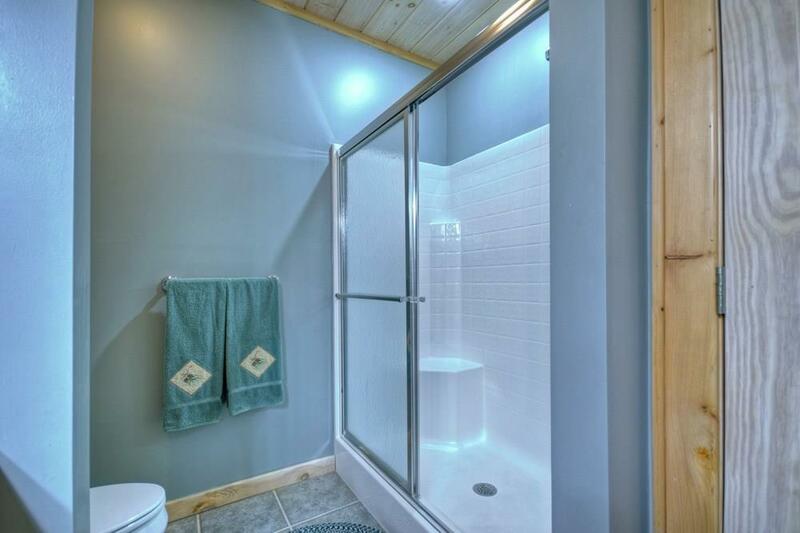 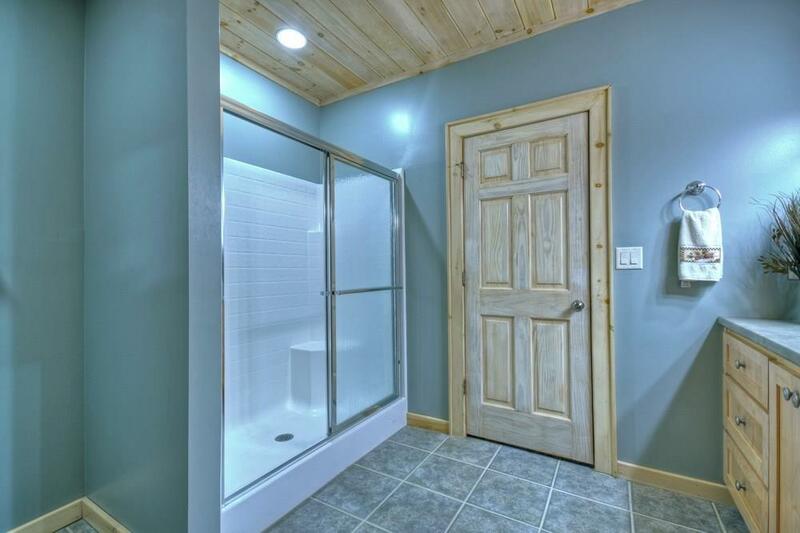 Quality construction, water filtration, air filtration, generator; 2 car garage, plentiful parking, workshop, beautifully landscaped w/waterfall feature.